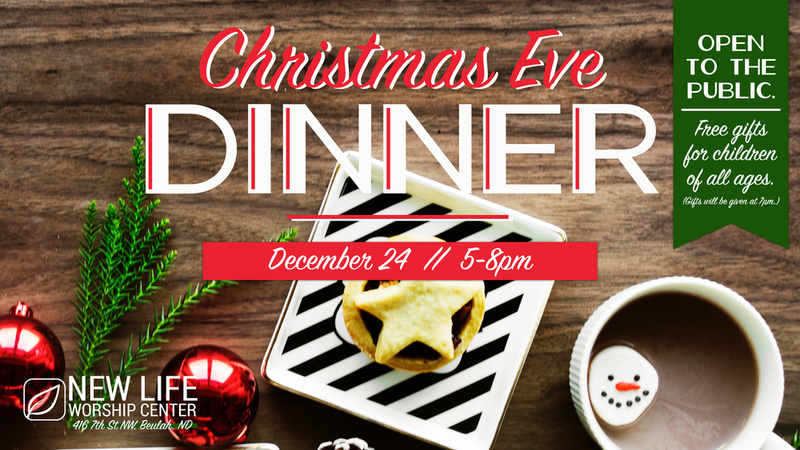 Everyone is welcome to join us for a special Christmas Eve Dinner! There will be free gifts for children of all ages. Gifts will be given at 7pm.